Oldmans Twp NJ Real Estate Info includes the areas of Auburn and Pedricktown within it's area. 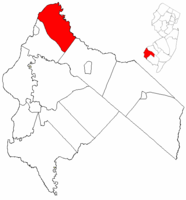 Because it borders the Delaware River, there are some wonderful water areas to live within this Township. Another great feature of this area is the fact that Rt 130, Interstate 295 and the NJ Turnpike all go through this area. Provides very easy commuting roadways to either Philadelphia, Delaware and all points south and of course north within NJ itself. We are using the School District as the MLS Reporting area.